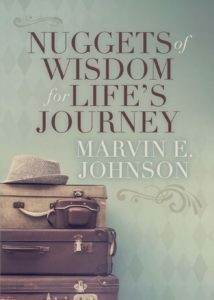 Nuggets Of Wisdom For Life’s Journey by Marvin E Johnson is a powerful Christian book that contains bite size chunks of daily wisdom. The book is set out over seven parts with seven (six in part two) daily readings to study and digest. Marvin Johnson covers numerous topics from God’s love to prayer, love, Ten Commandments, Holy Spirit, Jesus, Christmas, choices and much more. The readings should get you thinking about God and your relationship with Him and your life choices. On some there are questions for self-examination. Marvin Johnson’s style is easily accessible for all. It feels like nuggets of wisdom from a dear friend rather than daily readings.